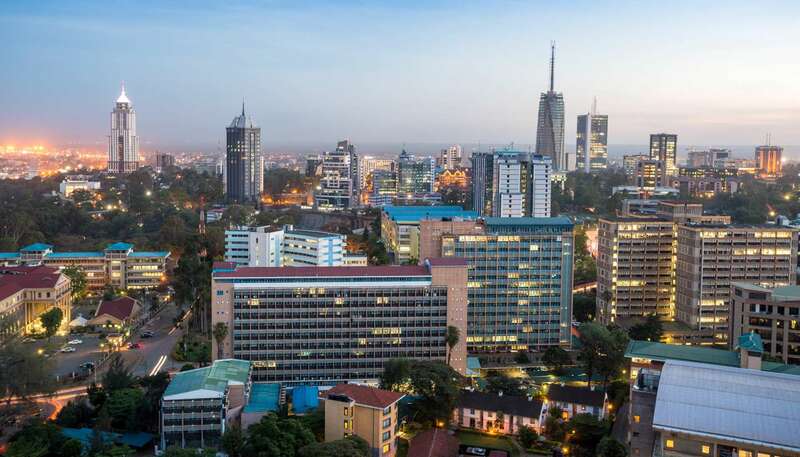 Part bustling African metropolis, part explorers' camp, Kenya's capital Nairobi is an intoxicating blend of cosmopolitan culture, gritty, urban slums and thoroughly modern city life. The gateway to some of the most beautiful stretches of wilderness in the world, Nairobi is never short of tourists, even if most are simply passing through to the Masai Mara in the west or the beaches of Lamu and Malindi in the east. Founded by the British in 1899, the city began as a dusty railway depot beside a Masai water hole known as Enkare Nyrobi (meaning "cool water"), from which it drew its current name. Today it's one of the largest cities in East Africa and home to scores of international companies and organisations, among them the United Nations Environment Programme (UNEP). Commercial success has transformed what was once an isolated supply depot into a place of bustling central thoroughfares, 1970s tower blocks, gorgeous public parks and bustling shopping areas crammed with chic boutiques and street traders from all over Kenya. While there's plenty to see in the city centre, including the imposing parliament building and the city's many galleries, the real excitement is found just outside city limits. Just seven kilometres (four miles) from the city centre is the Nairobi National Park, where you can get close to lions, impala, wildebeest and elephants, the latter due to the presence of an elephant orphanage within the park, courtesy of the David Sheldrick Wildlife Trust. Mount Kenya is also a four hour trip from the capital and day trips, although lengthy, are possible. Back in the city, slum tours have become an increasingly popular way to get a glimpse of Nairobi's grittier side, although many aren't as safe as tourists imagine. Due to the activities of militant groups like Al-Shabaab, safety has become an increasingly pertinent issue when planning a trip to the Kenyan capital. They are primarily active on the land that borders Somalia though, with attacks upon the Capital rare due to tourist hubs being heavily protected. Nevertheless, provided you take precautions when travelling at night and in poorer suburbs a visit to Nairobi can be an exhilarating experience, and it's well worth spending a few days exploring before heading out on safari.